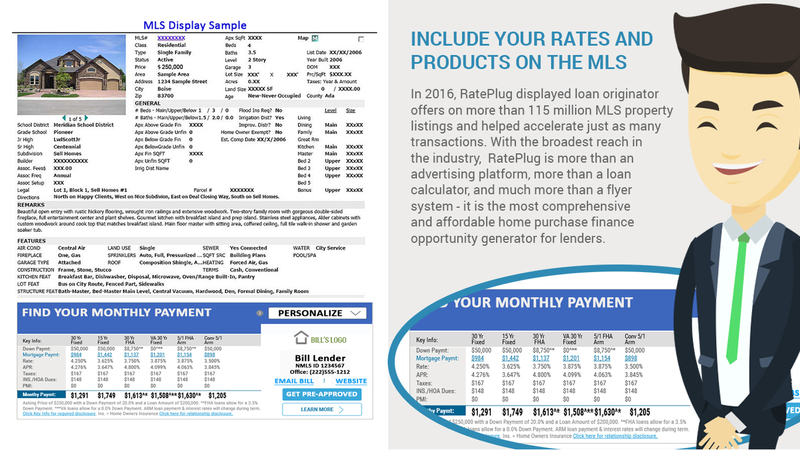 Get more exposure and support your agents with RatePlug – the #1 MLS integrated mortgage marketing platform that interactively plugs your rates and products into your agents’ MLS listings. In 2016, RatePlug displayed loan originator offers on more than 115 million MLS property listings and helped accelerate just as many transactions. 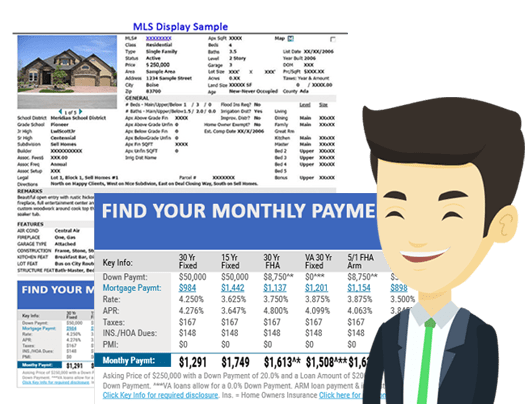 With the broadest reach in the industry, RatePlug is more than a mortgage advertising platform, more than a loan calculator, more than mortgage marketing software and much more than a flyer system – it is the most comprehensive and affordable mortgage marketing and home purchase mortgage marketing platform for lenders. Access – No other mortgage marketing platform connects you with agents across the top MLS networks. 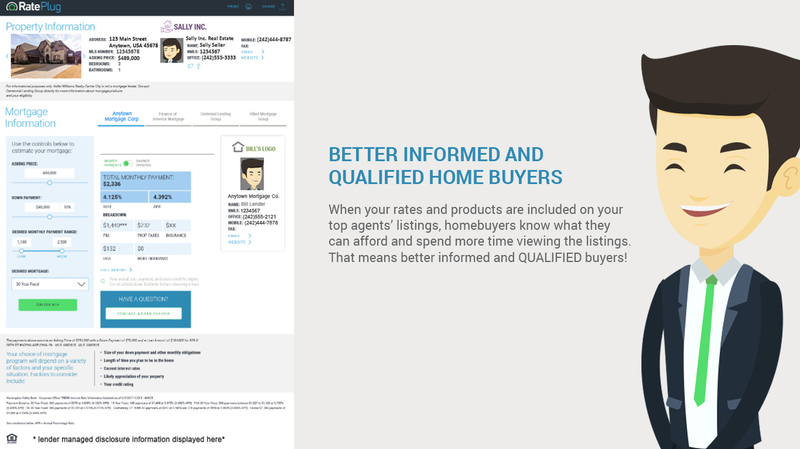 More than 700,000 agents across the top Multiple Listing Service networks have access to RatePlug.